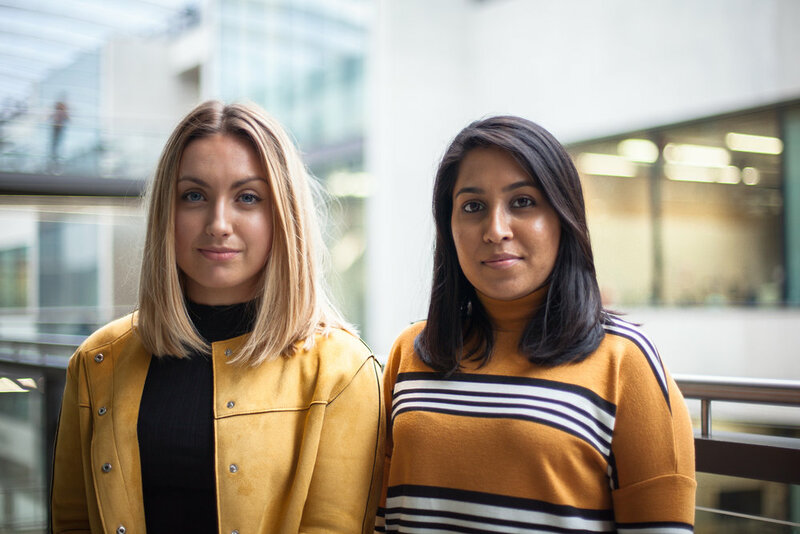 Classmates, Flatmates, Co-Founders and Sisters - Rachita & Rebecca co-founded Sisterhood whilst studying Communication Design at Central Saint Martins. Sisterhood started as an investigation on the ratio of girls with design degrees vs. those in the industry (with 372/525 students being female in our own cohort). This lead us to find the vast gender disparities prevalent not only in the creative field but across many industries. They are setting out a path of what it means to be an authentic leader by showing young people that you can achieve your dreams and create a career for yourself with the resources and means you have at present. They are always supporting and championing the young girls and their fellow peers. A huge part of the design process is cultivating empathy, Rachita & Rebecca consciously build empathy by placing themselves within communities to understand different perspectives and place yourself in someone else’s world. It takes a lot of courage and perseverance to start your own business at such a young age and both co-founders have immense resilience. Their passion to see the next generation of girls be equipped to fulfill their potential and pay it forward to the generations after them is what keeps them going. In any battlefield, you’ll be sure to find them as the last women standing. They both bring creativity not only to the design aspect of Sisterhood but into every area, from research to strategy. Being practising designers they are always upskilling, experimenting and taking risks to keep pushing the boundaries of creativity. Both Rachita and Rebecca are intentional about unleashing the creativity that lies in each person.